The mandrill is a primate of the Old World monkey family. It is one of two species assigned to the genus Mandrillus, along with the drill. Mandrills are the largest of all monkeys. Female have a body length between 55 and 67 centimeters (21 and 26 inches); males have a body length between 75 and 95 centimeters (29 and 37 inches); tail length add another 5 to 10 centimeters (2 to 4 inches) , with males having longer tails. 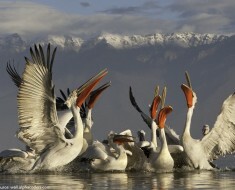 Female weigh between 11 and 13 kilograms (24 and 28 pounds); males weigh between 18 and 33 kilograms (40 and 73 pounds). Average life span in the wild is 20 years; the longest recorded lifespan for a captive mandrill is 46 years. 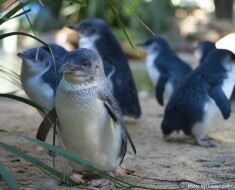 They are shy and reclusive primates that live only in the rain forests of equatorial Africa. It is found in southern Cameroon, Gabon, Equatorial Guinea, and Congo. Mandrills are extremely colorful, perhaps more so than any other mammal. They are easily identifiable by the blue and red skin on their faces and their brightly hued rumps. These distinctive colors become brighter when the animal is excited. 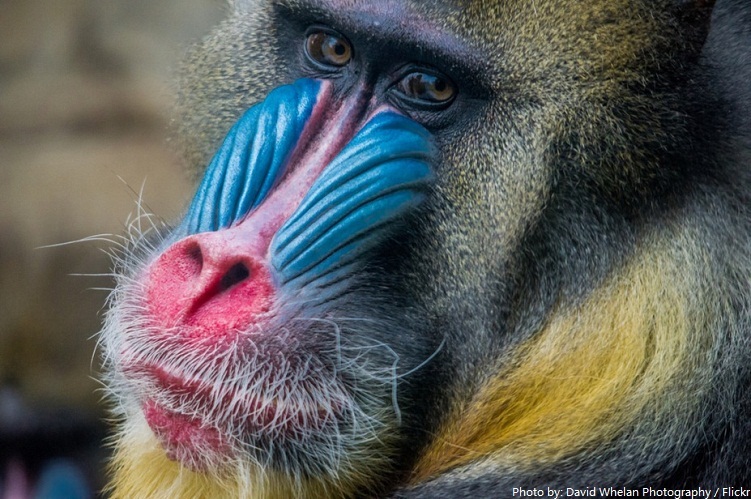 An adult male mandrill that has the brightest and most distinctive colors on his face seems to be most attractive to females. 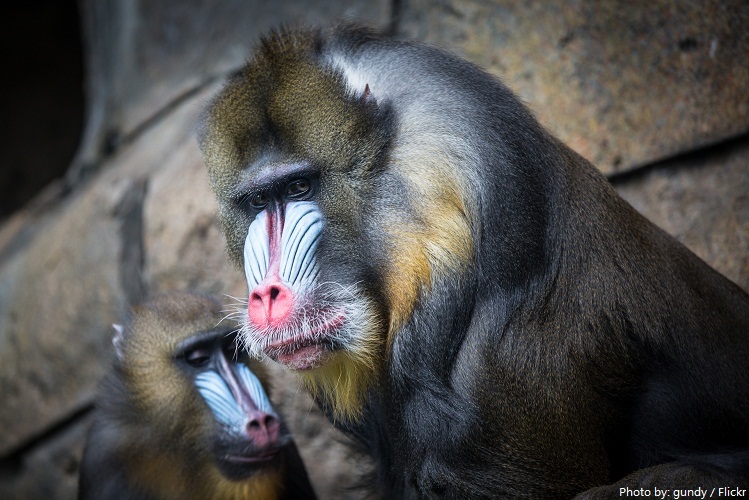 Mandrill’s body is covered with dense olive green fur. 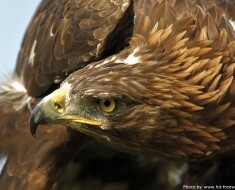 Males have yellow-orange beards. Mandrills are mostly diurnal, with activities extending from morning to evening. 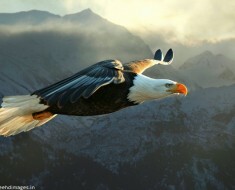 They have long arms and can travel long distances on the ground. They do climb trees, though, and even sleep there, selecting a different tree each evening. Mandrills have a special way of carrying foods. They have large cheek pouches inside their mouths that they can stuff full of food to eat at a later time. Mandrills are omnivorous animals and therefore eat almost anything. 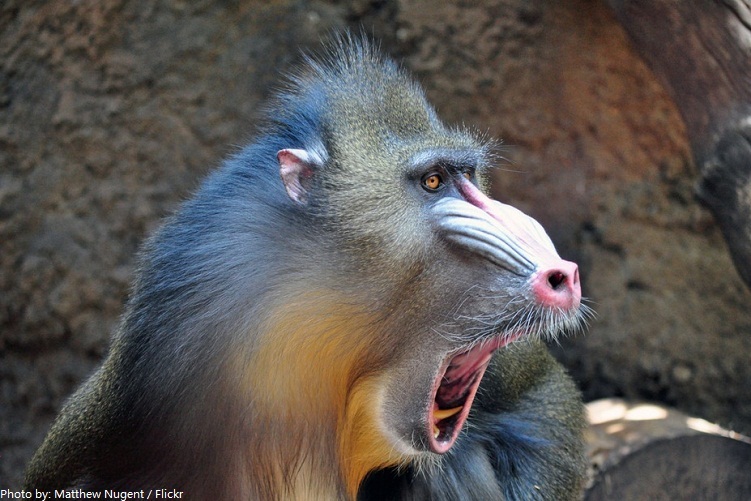 The mandrill primarily feeds on fruits, berries, seeds, nuts, roots, leaves, insects and even small mammals and reptiles. 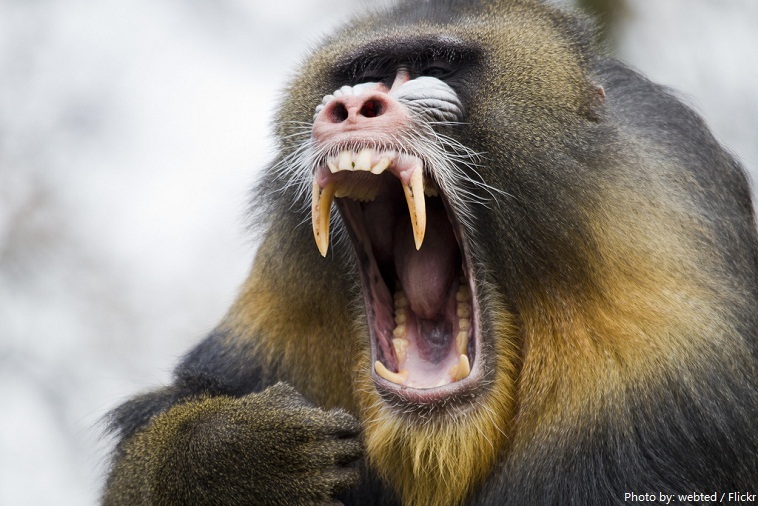 They have extremely long canine teeth which can be over 5 centimeters (2 inches) long and can be used for self-defense—though baring them is typically a friendly gesture among mandrills. Mandrills live in small social units but often join up with other small groups to form larger ones called hordes. One of the largest groups documented numbered over 1,2000 mandrills! Mandrill hordes are noisy. 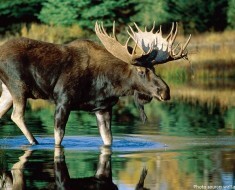 The animals communicate with deep grunts and high-pitched screams while they forage and travel. 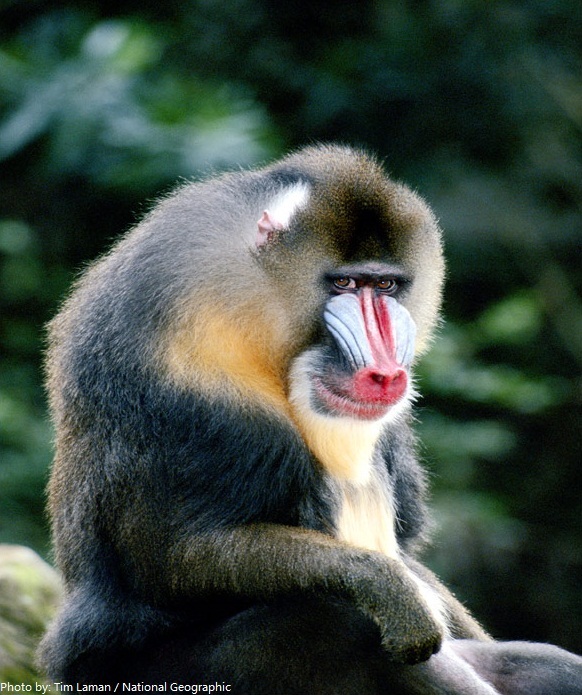 Like all monkeys, mandrills communicate through scent marks, vocalizations, and body language. Mandrills can mate throughout the whole year but their mating season peaks from July to September. 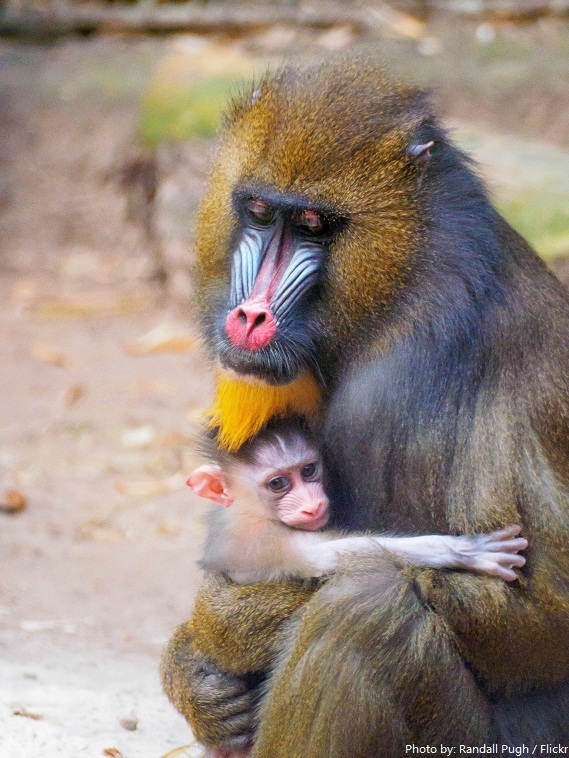 The gestation period for the mandrill is about six months. Female mandrills usually give birth to one baby. The infant is born with a dark fur coat, pinkish face, white hair on their arms and legs, a black cap of hair on the head, and open eyes. It can cling to the mother’s belly immediately. At two months of age, it starts to lose the baby hair and grow its adult coat. 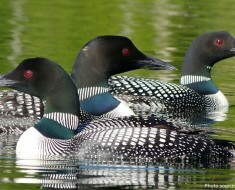 The females in the group will assist in caring for the baby. The youngster typically stays with Mom until she gives birth to her next baby and pushes her older offspring away. The leopard is the main predator of the mandrill, along with large snakes and birds of prey, who prey more upon the mandrill young. The human is also one of the mandrill’s main predators as they have hunted the mandrill over the years for meat. The mandrill is considered vulnerable by IUCN and is affected by deforestation.However, hunting for bushmeat is the more direct threat. 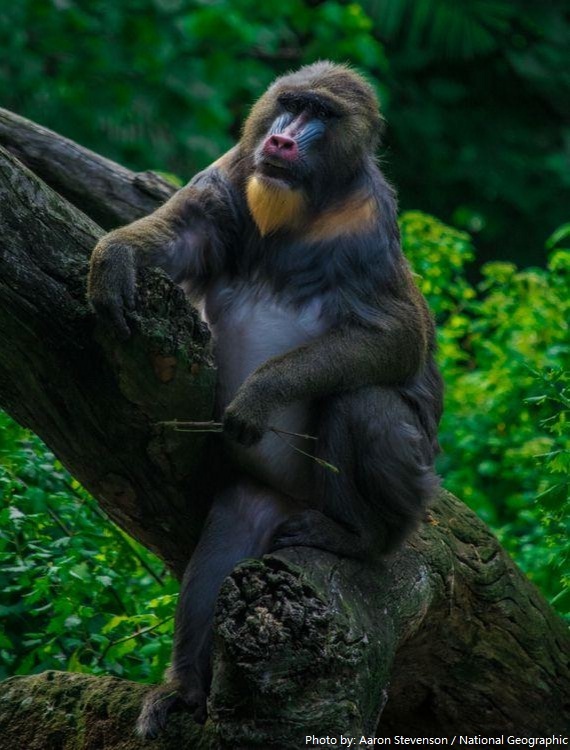 Charles Darwin wrote in The Descent of Man that “no other member in the whole class of mammals is coloured in so extraordinary a manner as the adult male mandrill’s”.